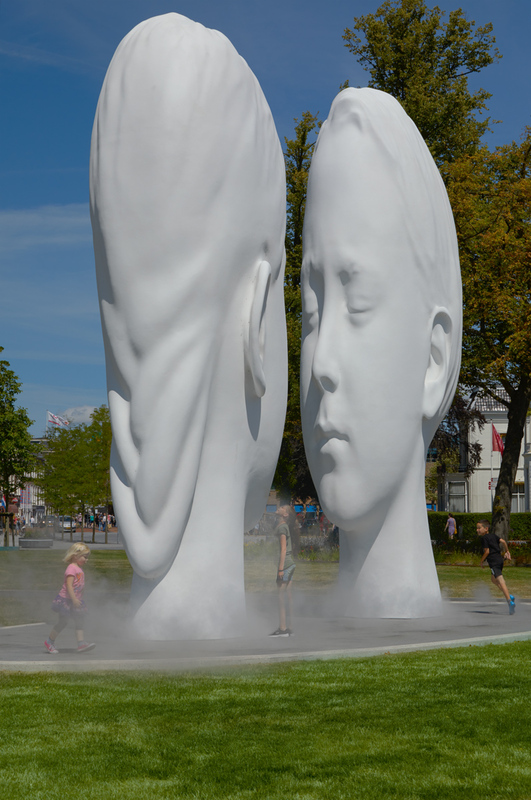 Jaume Plensa was approached in the bid book stage for participation in 11Fountains. He visited Leeuwarden for the first time in August 2014, where he met the mayor, some of the aldermen and the Director of Urban Development. It resulted in the invitation to the artist to think about the complete redevelopment of the area in front of the station and to have the fountain designed by him as a defining part of it. 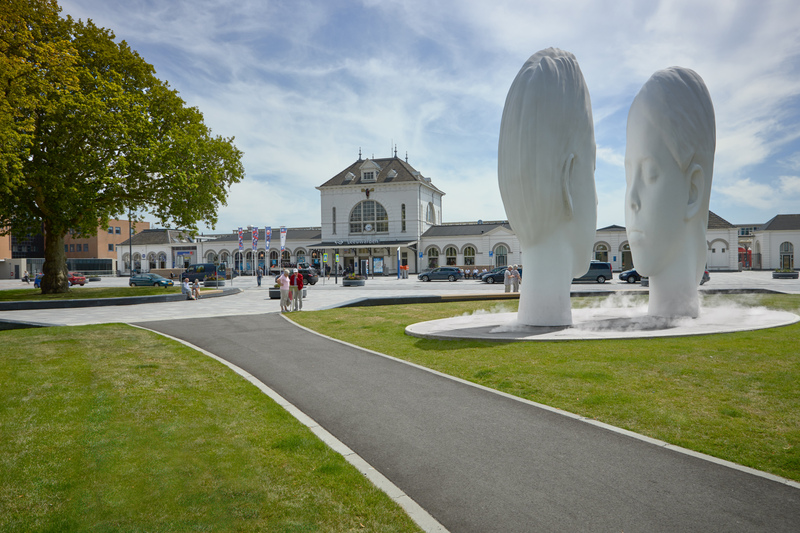 By already involving Plensa in the development phase of the urban redevelopment, this busy and formerly chaotic area is turned into a clear, directional entrance to the city with Plensa’s Love fountain as the inescapable centrepiece. Jaume Plensa (1955) enjoys great fame worldwide with his meter-high sculptures of mainly female heads. They offer an almost meditative look. A highlight is the Crown Fountain in the Millennium Park of Chicago, in which the faces of hundreds of inhabitants appear. The fountain ‘Love’ that Plensa designed for the renovated station area of Leeuwarden, gives the entrance of the city a powerful appeal, and is an inviting haven for rest.